As I sit here, savoring the flavor of a beautiful blue-winged butterfly made with premium Panama dark chocolate, I am remembering the wonderful Noche de Chocolate (Chocolate Night) we hosted here in Gorgona just last week. Chocolate Tasting. What could be better? Maybe add a glass of champagne and some 12-year-old Panamanian rum? Ah yes, just the thing. Perhaps not the age-old question asked by children, but it is a question that bears consideration, if you happen to be a chocolate lover like me. Where does chocolate come from? How is it grown and how do they make this amazing candy? Well, that is what this night was all about. And it just so happens that some chocolate is grown right here in Panama. 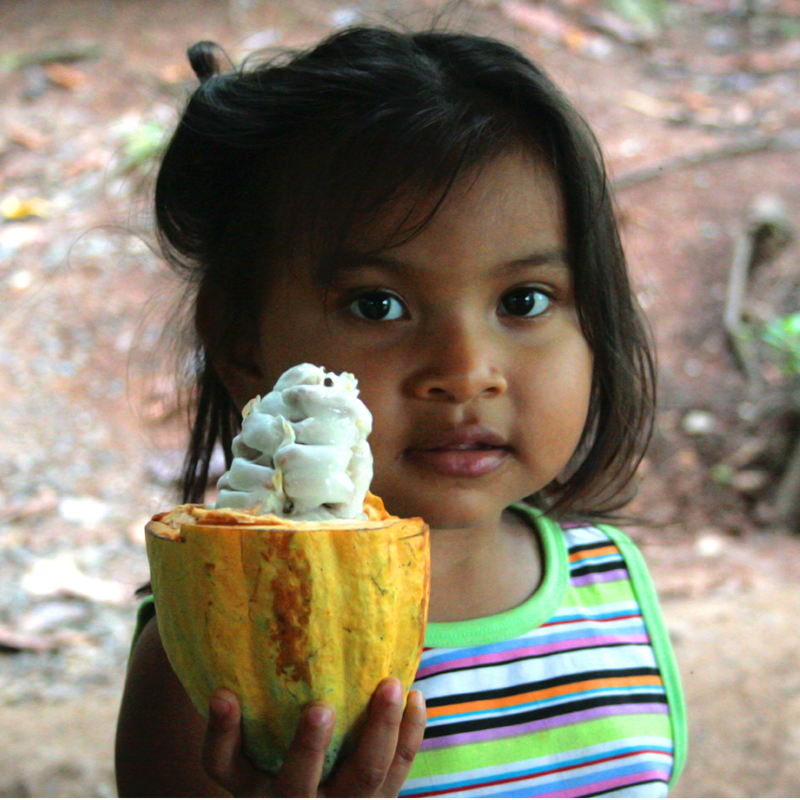 Although cocoa is grown in other parts of the world, most notably Ivory coast and Peru, Panama produces some excellent cocoa, specifically in the region of Bocas del Toro on the Caribbean coast. A plantation owned by our partners Forest Finance, this plantation models what we like to call Impact Investing–an opportunity to invest in something that not only benefits you financially, but something that enriches everyone and everything connected with it. In the case of the cacao (cocoa) farm, it provides meaningful, gainful employment for indigenous people in the area and education in a specific field for those people, thereby providing valuable social benefits. In addition, the careful planting and sustainable farming of this plantation results in an improved environment and aesthetic appeal. The land benefits, the ecosystem benefits, the people benefit–sustainable farming techniques are used and no child labor is permitted at these plantations–and you and I benefit from an amazing fair-trade product that comes from this plantation! 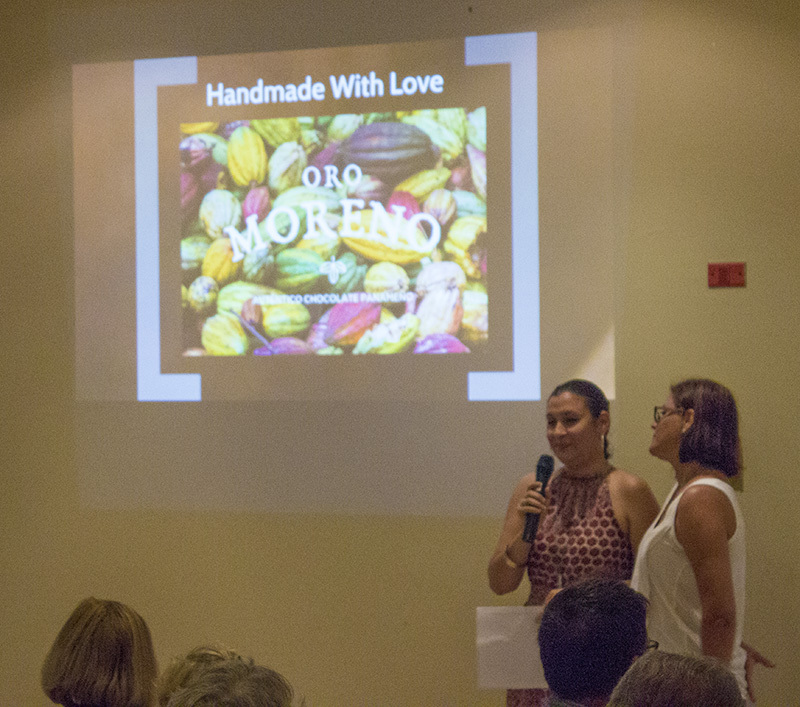 If you would like more information about investing in cocoa, contact us. The cocoa fruit is a large yellow pod (it can also be green or orange) which houses long brown seeds which are covered with a slick white coating. You can (and we did) eat this coating, which has a very mild flavor and tastes nothing like chocolate! When the fruit is harvested for the cocoa, this coating is removed from the seeds and the cocoa “beans” are dried in a facility at the plantation. 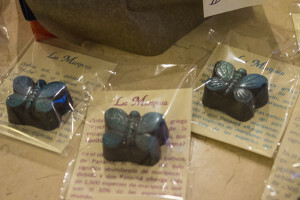 These “beans” are then shipped to the end user, who processes the chocolate, using varying percentages of cocoa content. Oro Moreno is the company that produces the end product–a beautiful and delicious chocolate candy available in either bars or filled chocolates. All of their chocolate is of the dark variety. 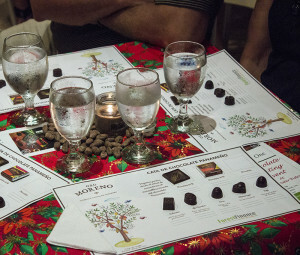 I did learn at this presentation that milk chocolate was created to cover the taste of inferior cocoa beans as well as stretching the cocoa content–pretty low in milk chocolate. Because all of this chocolate is premium (think Geisha coffee), it would be some kind of a crime to create a milk chocolate with it! 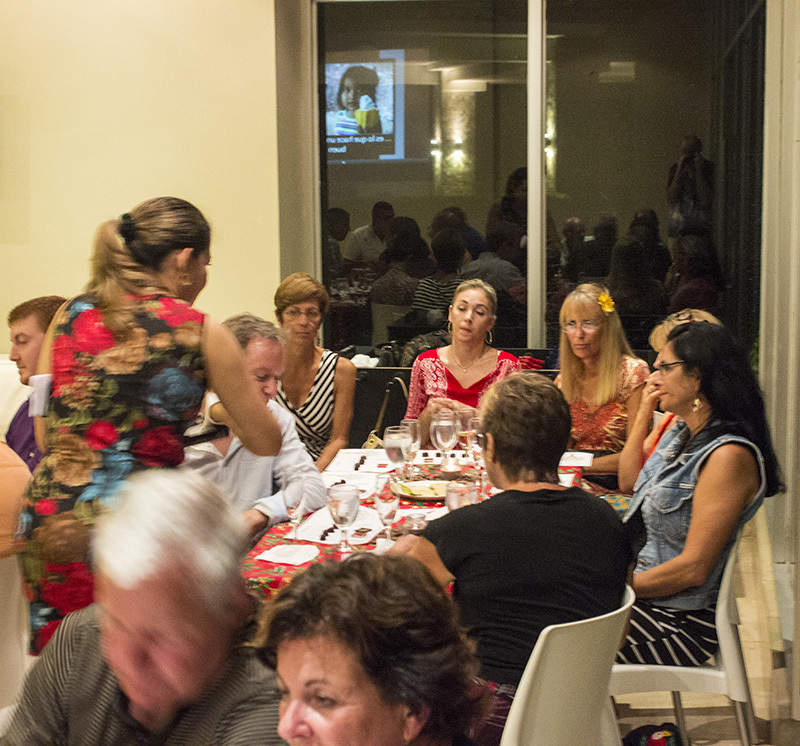 So, about 40 of us gathered on a rainy evening here at the beach to enjoy the Chocolate Tasting. 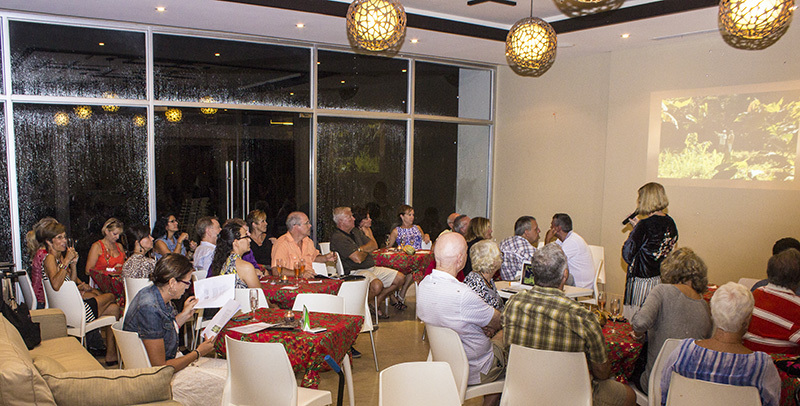 We had to move from an open-air restaurant to another room in the tower to avoid being totally drenched! Tables were all set up, chocolate for sampling and sales were at the ready. Presenters were primed. Action! 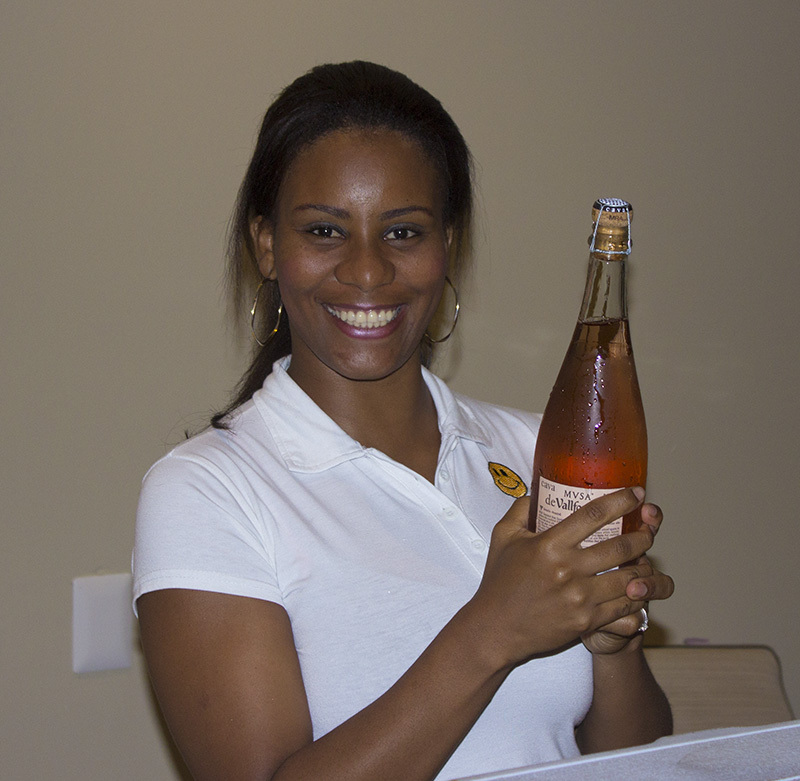 Start with some champagne to put everyone at ease and some chocolate available for snacking. 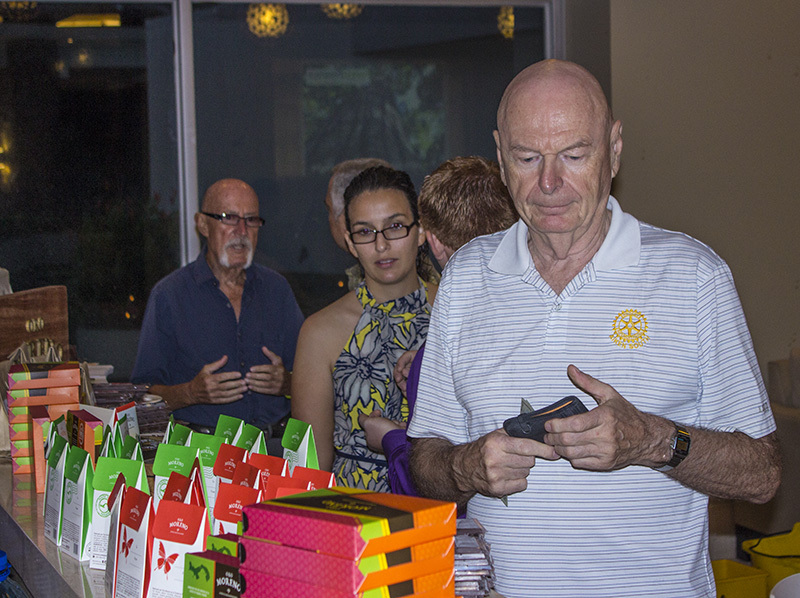 After providing information about An American In Panama (Frank & I & impact investing!) 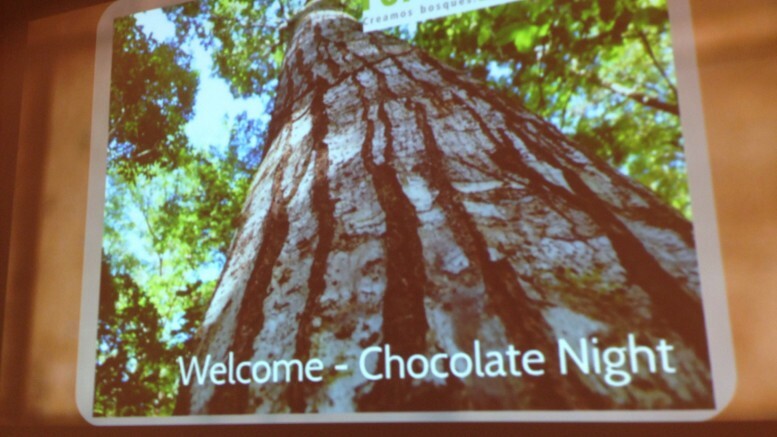 and Forest Finance, we finally got down to what everyone had come for–the chocolate. Some folks just wanted to eat it. Most wanted to learn something about it and also eat it. Everyone definitely wanted to eat it. Each person was given a kind of “placemat” with spaces for the various chocolates for tasting. 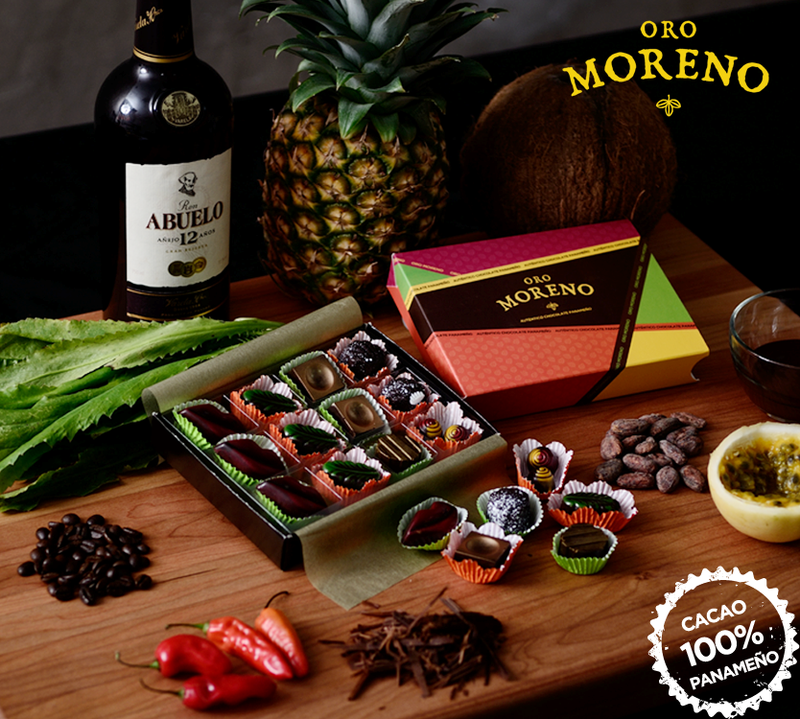 Fillings are all from Panama: pineapple, passion fruit, Rum Abuelo, cilantro, coconut, hot pepper and coffee. One by one, they were tasted, savored, appreciated. Some folks were surprised by the 90% cocoa bar – you really only want to use this one for cooking! I think the favorites for the night were the coffee and the rum fillings! I don’t know about you, but it really makes me appreciate this wonderful stuff even more to realize just what all goes into that little bonbon in your fingers, right from the little children that live in the area of the plantation whose parents have gainful employment so that their children can be children and not have to work harvesting cocoa, down to the excellent product that we can enjoy every day. What a privilege! Perusing the variety of goods to purchase. As you can see, a fine time was had by all, except……. Of course, not all was fun & games. 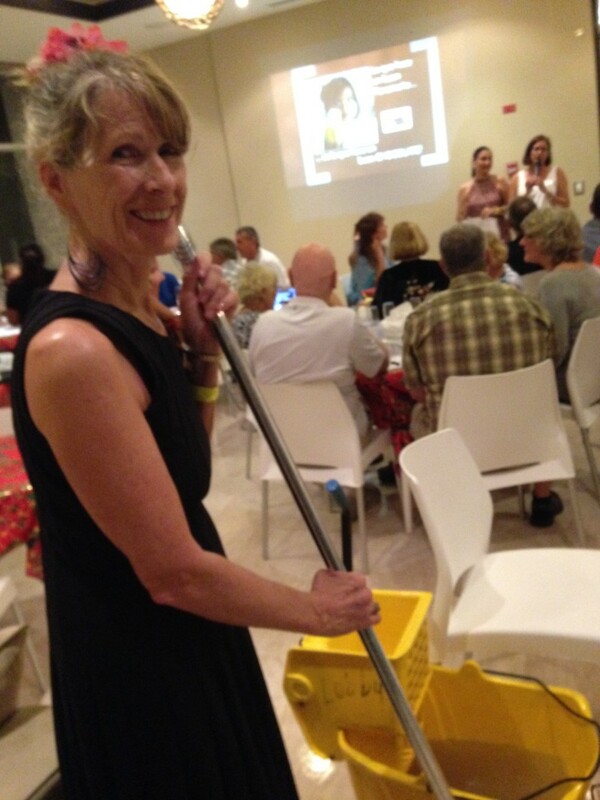 Yours truly was assigned to clean-up, and I mean during the event! The ceiling sprung a leak which required some mopping. I must say, though, I did do an excellent job! Be the first to comment on "Chocolate in Panama is HOT!"